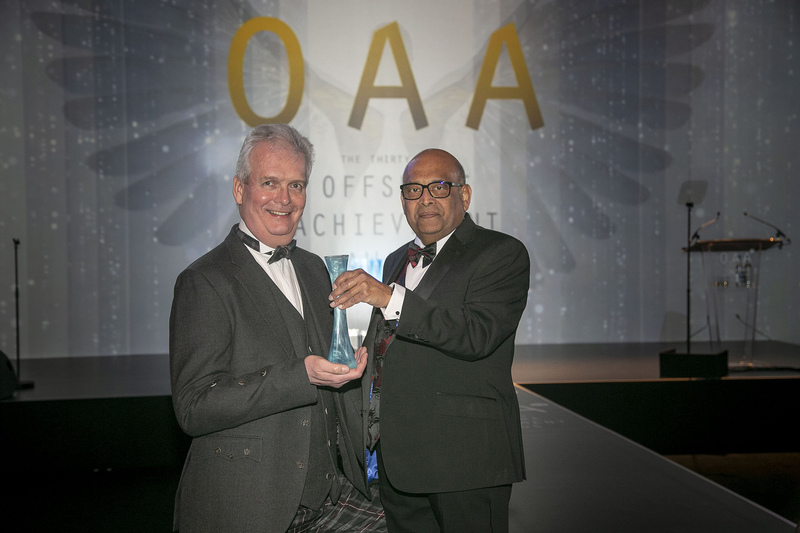 Denis Pinto, founder of the Aberdeen branch of the Energy Institute’s Young Professional Network, won the significant contribution accolade in front of almost 500 people at the Offshore Achievement Awards. Mr Pinto is the managing director of Caledonian Flow Systems and has also held several positions at exploration and production company Premier Oil since 2009. He is a trustee of Energy Futures North East, which aims to encourage school pupils and young adults to discover the opportunities within the sector. Mr Pinto recently joined the advisory board of AFBE-UK (Association for Black and Minority Ethnic Engineers), an organisation which promotes ethnic diversity in the industry. And he is a mentor to World Petroleum Council International Youth Committee members. The ceremony, in its 33rd year, was organised by the Society of Petroleum Engineers’ (SPE) Aberdeen section and took place at the Aberdeen Exhibition and Conference Centre. In the other categories for individuals, Mike Adams, of online training firm Norwell EDGE, was crowned Young Professional and Ann Johnson, of Blaze Manufacturing Solutions, won the prize for going Above and Beyond. Blaze – a Laurencekirk-based fire safety protection firm − was victorious in the Great Company (SME) category, while drilling waste specialist TWMA rose above the competition to win the Great Company (Large) trophy. The Emerging Technology gong went to Well-Sense Technology and the Innovator prize was lifted by Magma Global. The HSE Innovation award was taken home by Iron Ocean, a Dundee-based developer of life-saving survival suits. Judges gave the Export Achievement award to Aberdeen-headquartered well management specialist Exceed, while Aquaterra Energy prevailed in the Outstanding Skills Development category. The Collaboration prize went to an entry submitted by energy services firms KCA Deutag and Weatherford and oil producer CNR International. Mr Phillips added: “Huge congratulations go to each of this evening’s category winners. “I never cease to be impressed by the work undertaken by exceptionally dedicated, talented people across the UK offshore sector. “As ever, the undeniably challenging judging process illustrated that our panel was equally as impressed with the quality of entries, and all shortlisted companies and individuals should be very proud of their finalist status.